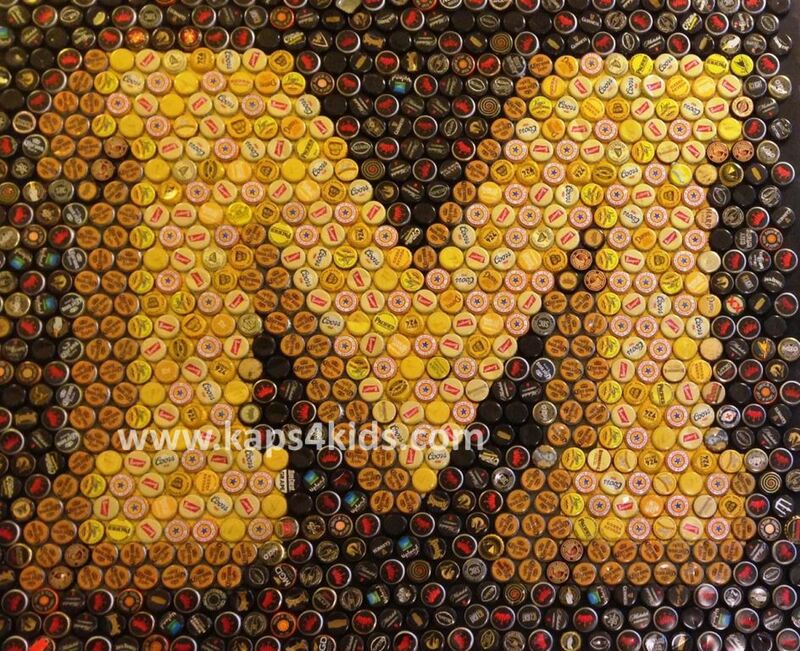 Kaps for Kids creates extraordinary mosaics from ordinary bottle caps that would normally be thrown away. 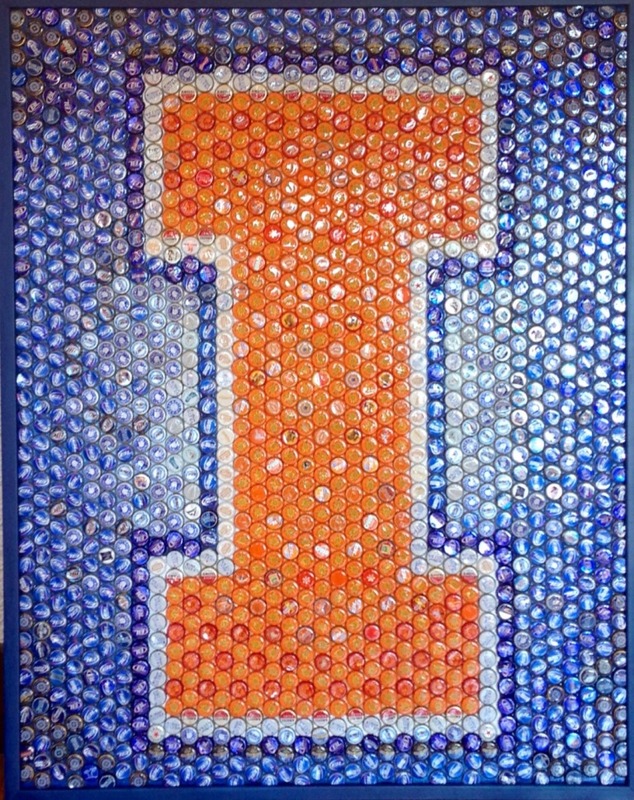 These mosaics have become the focal point of many bars and man caves. 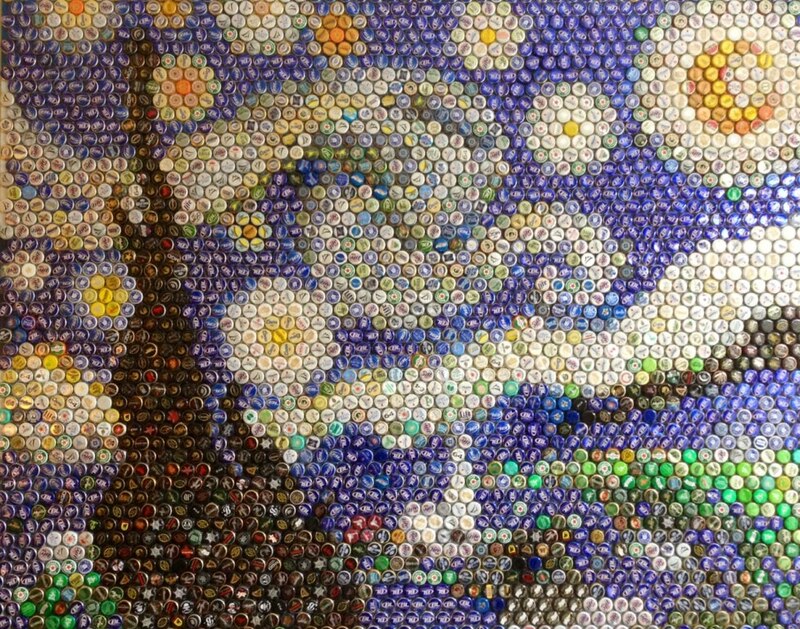 What is amazing is that no cap is painted or altered to create our mosaics. 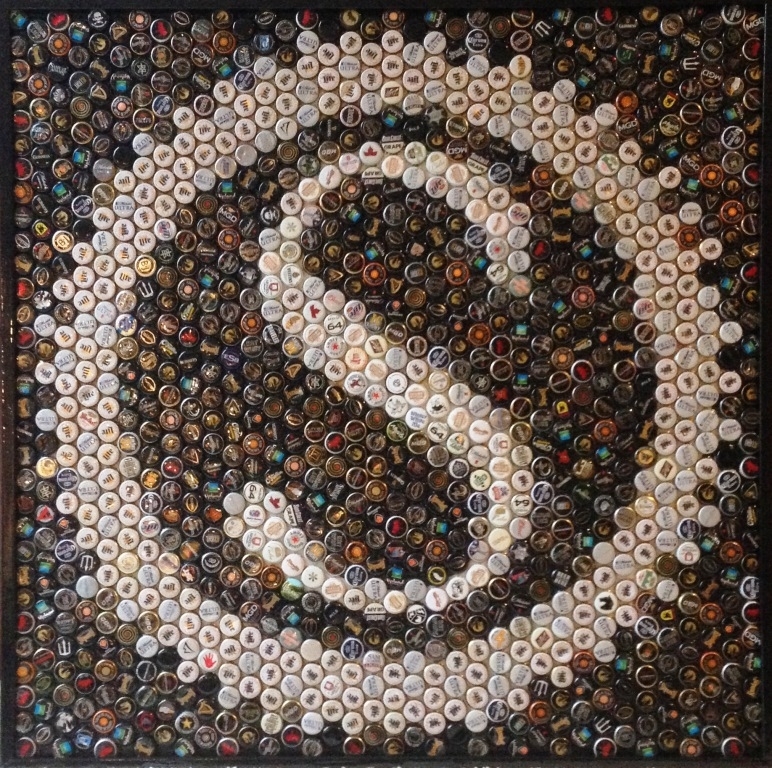 We have an inventory of over million bottle caps and thousands of varieties to insure we have just the right color to create a truly rich image. 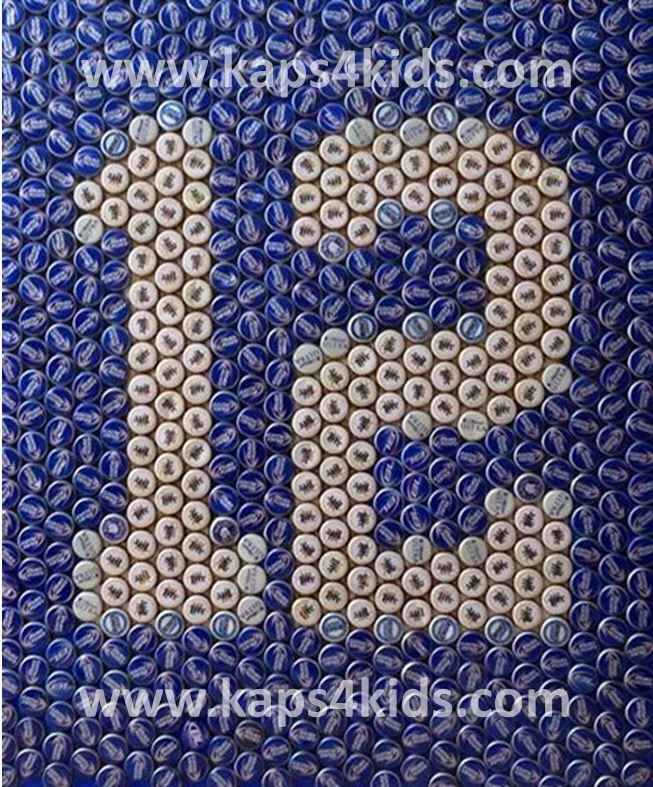 Additionally, 10% of sales go toward children's charities. 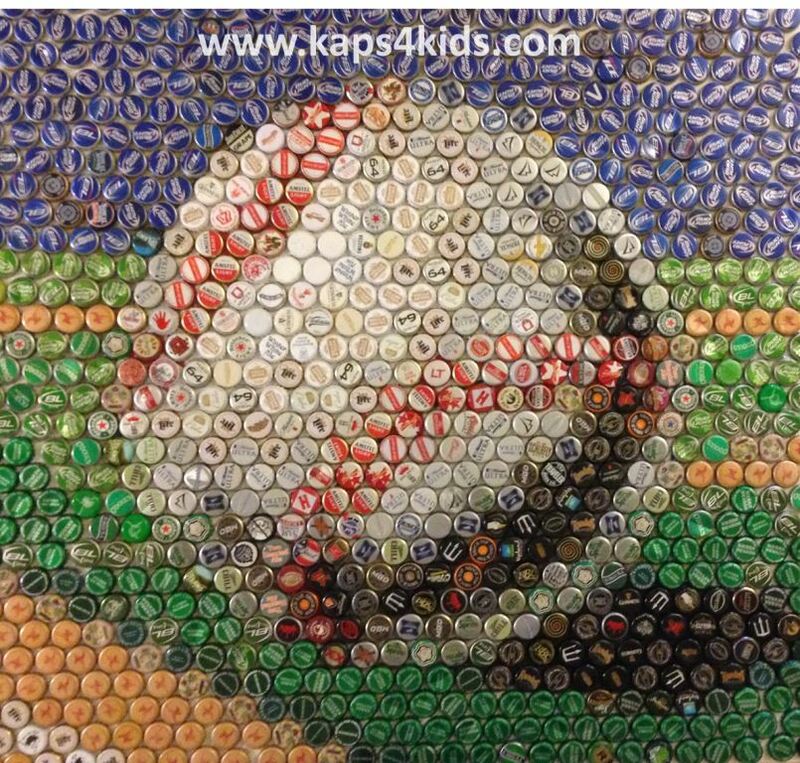 Check out some of our mosaics below. 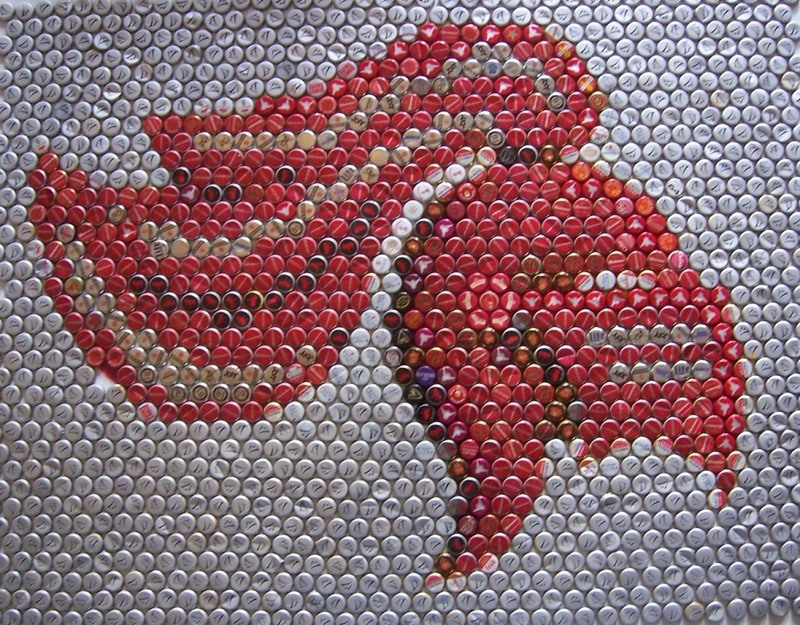 We specialize in creating custom mosaics just for you...just fill out the form below. Other sizes available upon request. Typical turn around time is three weeks. Shipping and handling not included. 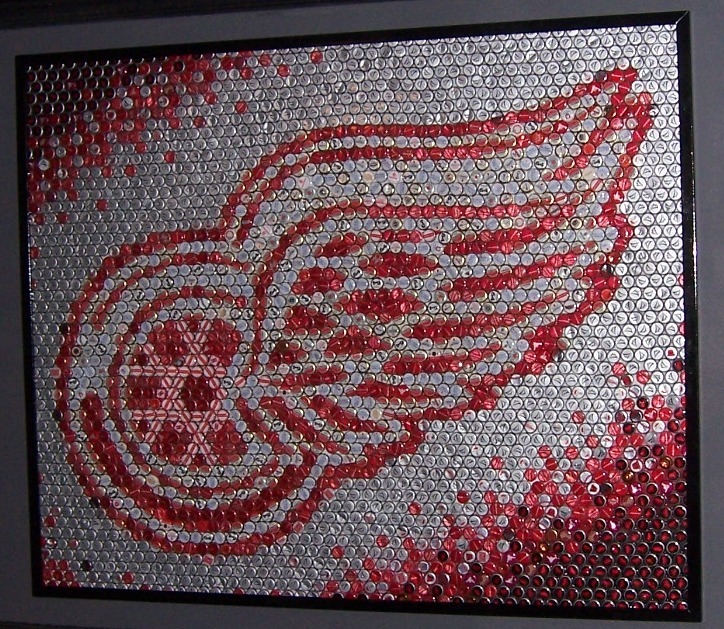 If you are interested in learning more about a custom made mosaic, just send us a note. No commitment necessary. Thank you for your message! We will respond to you within 48 hours.